At Credit Walk, we’re all about making our credit cards work for us and helping you to do the same. What you choose to put in your wallet, could essentially ease and minimize your expenses while travelling. Today I’m going to break down 5 ways that credit cards can save you money before, during and after your next vacation. When thinking about how credit cards can earn / save money for travel, the obvious way is earning rewards points. Rack up points before your trip by putting as many purchases on your best travel rewards card as possible, spend the points on your air travel to get you to your destination and then, while you’re on your holiday, you can continue to use your card to accumulate rewards for future trips. How great is that?! Your credit cards are essentially non-stop, money-making machines. You just have to know how to use them correctly to maximize your returns. Almost all major credit cards will offer you some kind of travel insurance coverage. This means you won’t have to go out and pay for expensive plans with 3rd party providers! You’re credit card will likely have you covered. It’s important that you check with your current provider to find out exactly what they cover. Some cards are a little more generous than others when it comes to travel insurance. The TD First Class Infinite Card for example, offers you and your dependents up to $1 million in coverage for the first 21 days of your trip and you don’t even have to charge the vacation to the card. The BMO Cash Back Rewards Card gives $2 million in coverage for 31 days for an extra fee of $129 / year. The World Elite MasterCard Provides emergency medical coverage up to $500,000 anywhere in the world and is automatically included whether or not you purchase travel using your eligible Capital One credit card. This is a big money saver that many people still don’t know about. If you reserve a rental car using your credit card, you are most likely covered for the Damage Collision Waiver and Loss / Damage Insurance. Some rental companies charge a pretty penny for the extra collision packages, but now you know, with your credit card you never have to pay extra for collision coverage on your rental car. With BMO, you can opt in for their Basic Roadside Assistance for just $69 / year, and you can pay an extra fee for the TD Trust Auto Club Membership as well, although if you’re TD Gold Elite Visa Card it’s already included with your card. Another great feature of the TD First Class Infinite card is that you are automatically eligible for Avis Rent-A-Car and Budget Rent-A-Car preferred rates. That’s right, not only do you get free collision insurance with your car, but you’ll also get a cheaper daily rate. Having recently experienced the unfortunate disaster of an airline misplacing my luggage, I know just how important lost luggage insurance can be. Airlines can be slow to act, and they often won’t give you a fair evaluation of the items you lost or the emergency purchases that you had to make while your bags were travelling without you. Most credit cards will give you extra insurance, above and beyond the amount of what the airline agrees to pay you. This can be the difference between loosing a lot of money, or just breaking even. Don’t expect to ever profit from lost luggage! You’ll be lucky if you get back most of what you lost. In this article, I listed 5 ways credit cards can save you money on travel, but they can save you money even if you’re not a globetrotter. 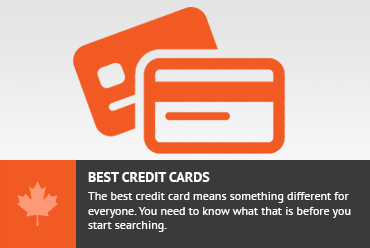 Using your card will often double the manufacturers warranty on all of your purchases, give you 90 days or more theft insurance, and in some cases, the credit card will even offer you price matching if you find the same item cheaper somewhere other than the place you purchased it from originally. Don’t just use your card for travel. Use it to help make your money work for you. Card hacking isn’t just for those who travel and if you do it right, you can save / earn yourself hundreds of dollars per year. Don't subscribe All Replies to my comments Notify me of followup comments via e-mail. You can also <a href='https://www.creditwalk.ca/comment-subscriptions/?srp=4643&srk=2648578ecea05c83754707575dc5a494&sra=s&srsrc=f'>subscribe</a> without commenting.